Dealership and finance company managers have another free education option thanks to online availability. This week, Compli, a provider of automated HR and compliance program solutions, introduced CMS University. This four-course series of free masterclass-level online seminars focuses on how to build a best-practice compliance management system (CMS). 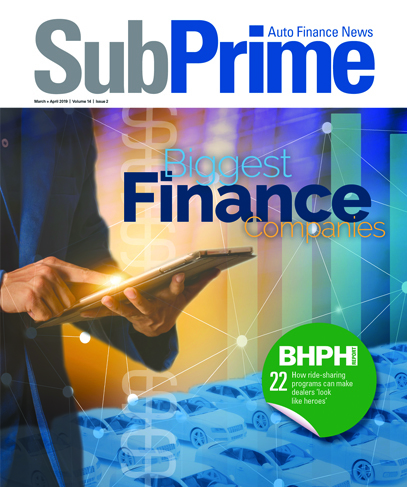 While the series is ideal for finance companies, Compli insisted the content is applicable to additional regulated businesses, including automotive dealerships. CMS University evolved out of recurring conversations Compli had with business executives who knew they needed a CMS but didn’t know how to set one up or even what one looked like. Each of the four videos in the online seminar series are an hour or less in length and cover executive oversight, compliance program structure, consumer complaint response and internal audit preparation. Courses include easy-to-follow video lectures led by attorneys and industry veterans, instructional readings and the ultimate Prep for the “Test” Guide. Larson emphasized the materials support companies' efforts to build a sound CMS that can better withstand regulatory scrutiny. “Our program is not just for setting up a CMS. It also helps companies with an established CMS to easily audit their program to discover where they need to focus their resources,” Larson said. Compli acknowledged that CMS University is not a degree-granting institution offering accredited courses. However, Compli explained that what it does offer is highly specialized insider compliance knowledge and expertise that anyone who handles compliance at their company can benefit from. In addition to its online masterclass, Compli helps promote compliance education with free articles, webinars and other downloadable resources. To access those materials, visit Compli’s resource library. To enroll in CMS University for free, go to this website.